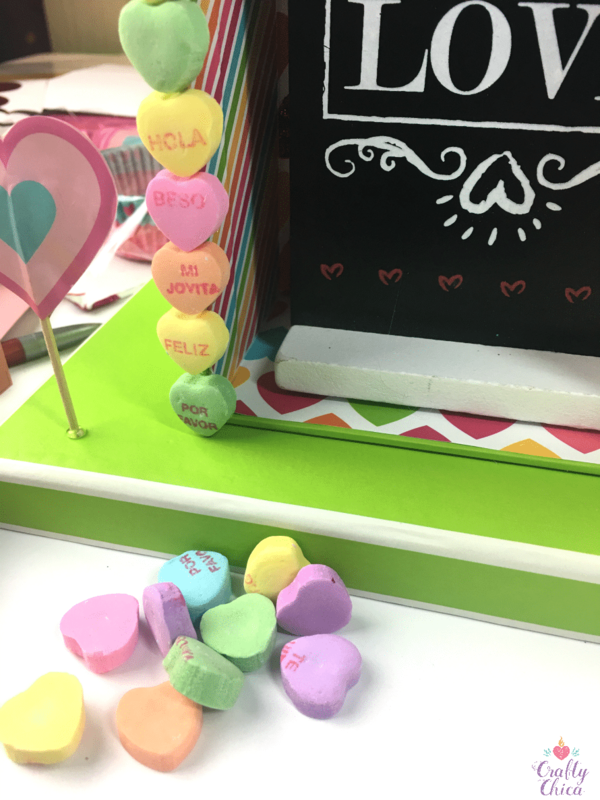 Check out my Valentine’s Love Shrine! 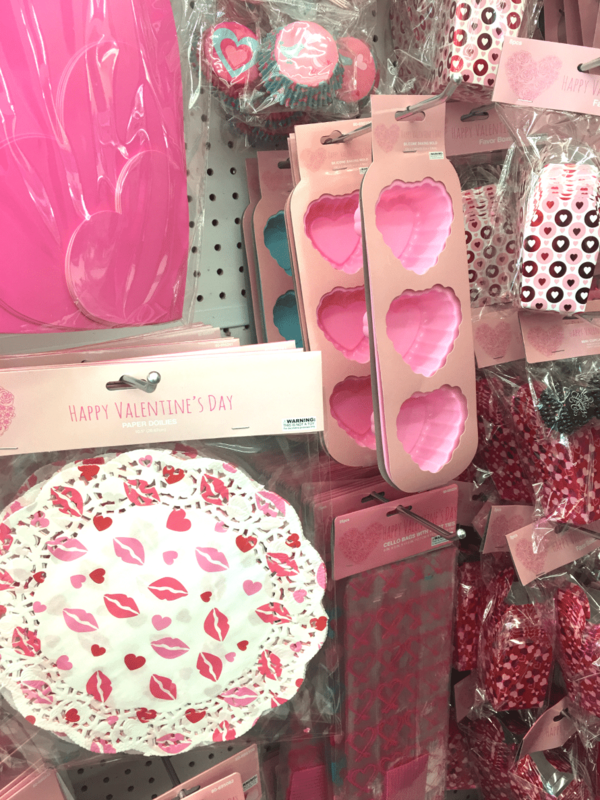 I visited my local 99 Cents Only Store to gather supplies to make a fantastic romance-themed tutorial. I had a few ideas but wanted the offerings to inspire me. Oh, wow, they sure did. I never realized how many things – cool things – are available at the 99. 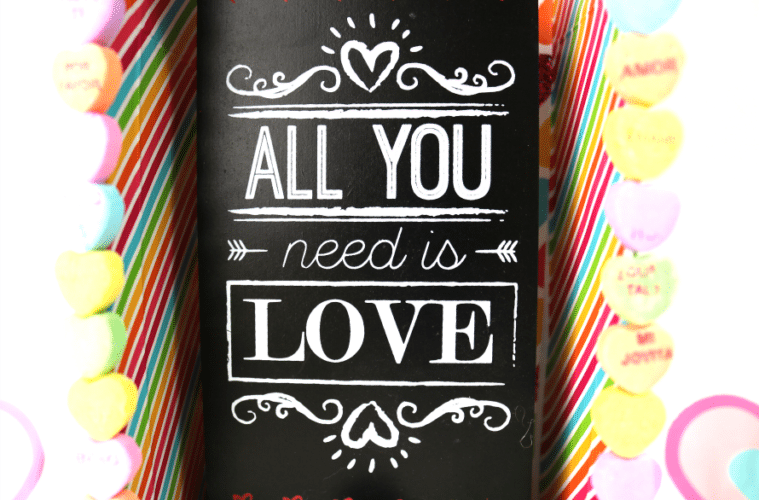 I found it’s a hub of all things L-O-V-E: Candies, decorations, baking supplies, cards, gift bags, decorations. And with the .99 price tag, it sure helped with the creativity. This is what first caught my eye. The Spanish language Sweethearts. Yes, they also had them in English! I knew whatever I would make would have these. 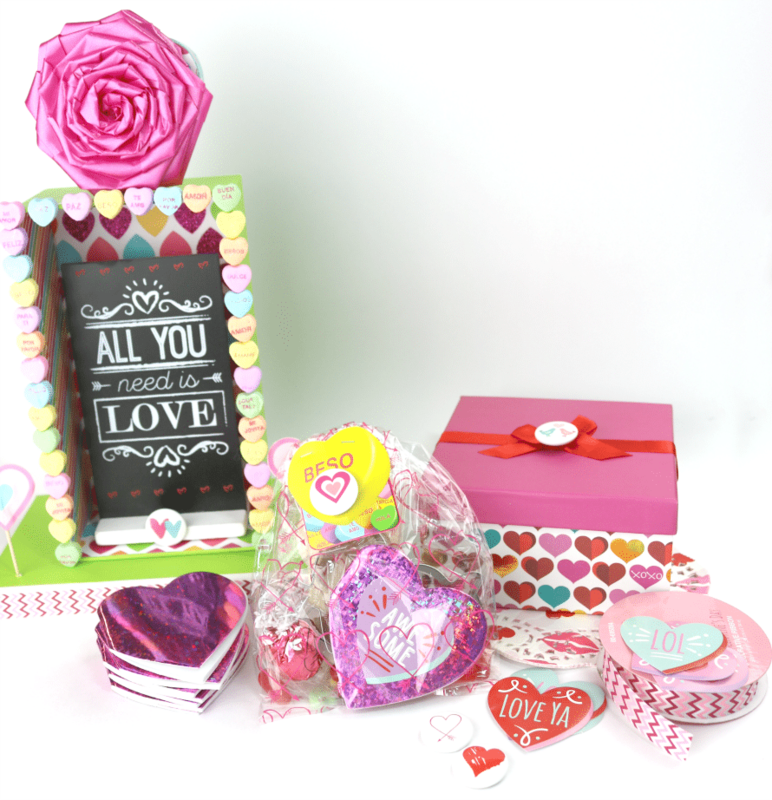 I also love the imagery of the yellow heart, each box has a different word – great for collage art! Here are some items I was pleasantly surprised to find at the 99 – silicone molds (perfect for baking, candy making, soaps, resin, etc). Little takeout boxes, doilies, even cookie cutters. I tossed EVERYTHING in my cart. 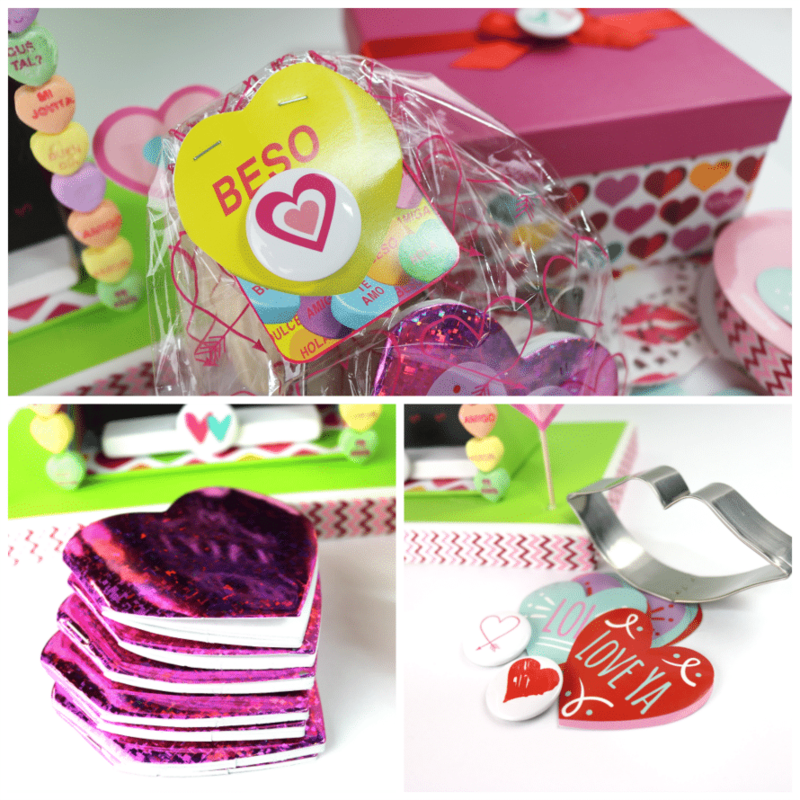 I planned to make so many things I could have opened my own store with handmade Valentine goods. Here is the loot I came home with. 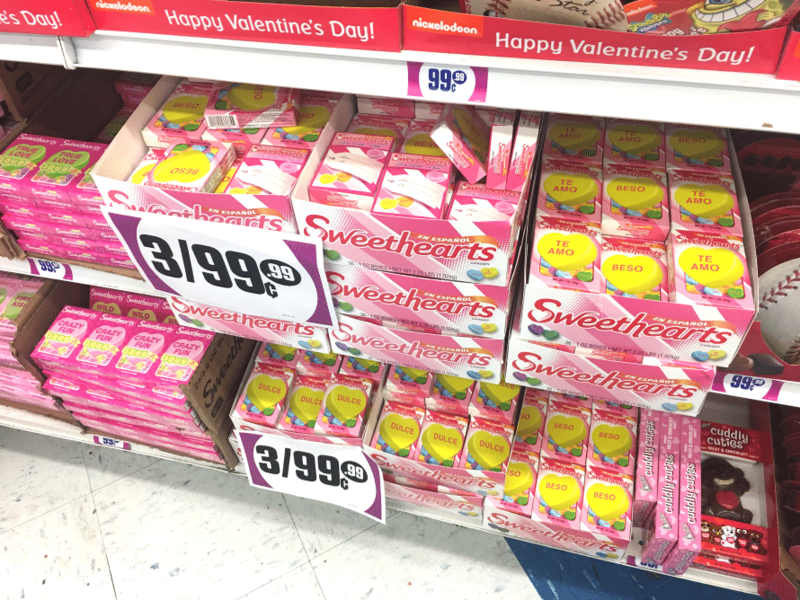 The Sweethearts were three for .99, everything else was .99 each. See that package of 12 mini-buttons? DEAL! I can use those for so many projects after Valentine’s. and the cokie cutter, I bought a couple of those – one for baking and one for clay. 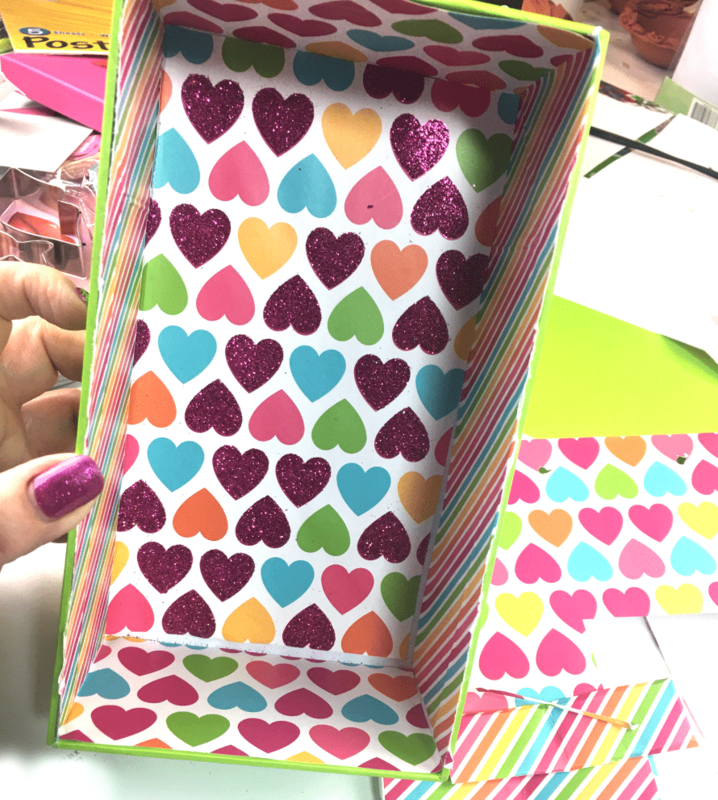 Once I looked through everything, I realized I had EVERYTHING I needed to make a colorful Valentine’s love shrine. It’s like a love note on steroids. So cute! I used a bright green box as the base. 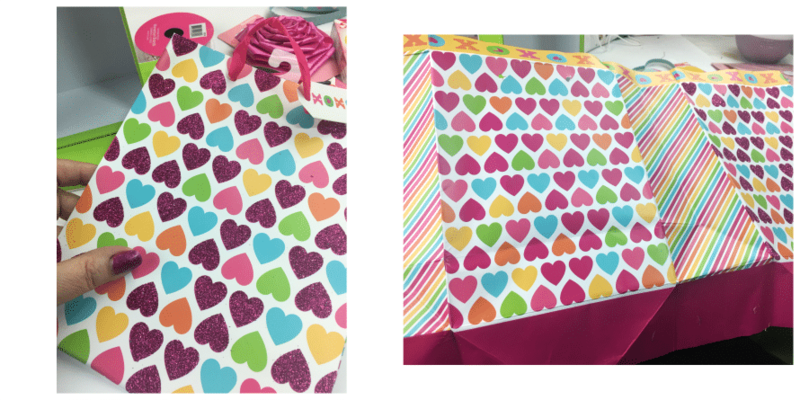 I wanted to add a burst of color inside, so I did this – I cut up a gift bag. And then used it to line the inside of the shrine. Then I glued this plaque inside as the centerpiece, yes all of these items are from the 99! 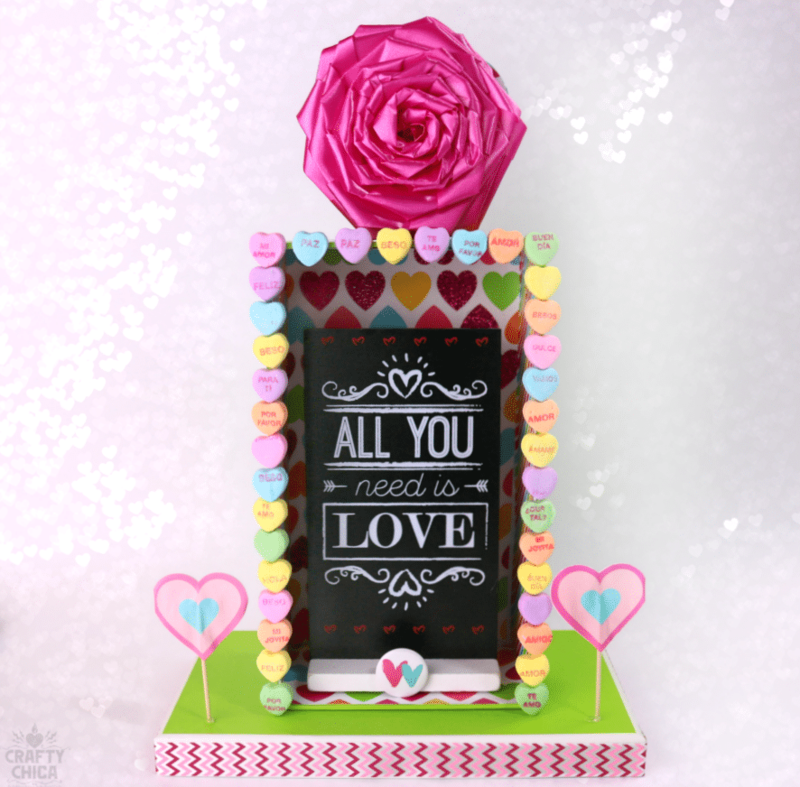 I used the lid of the box as the base for the shrine, and I glued the candies around the border of the box. Then I embellished with cupcake toppers. I glued a flower on top and added stickers. 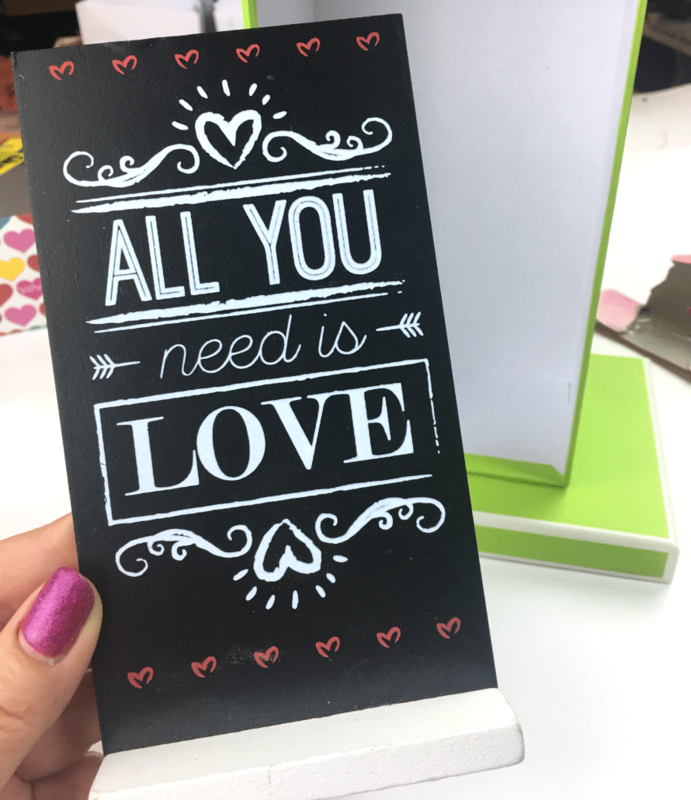 You can use a permanent marker to write a love note on the back of the box. I had a lot of leftover items, so I made goodie bags! 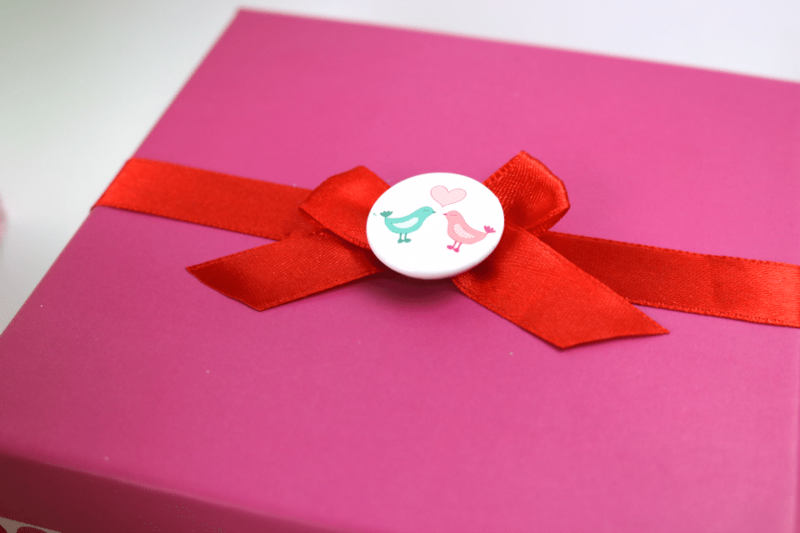 This was a box that came with a ribbon so I simply added a pin to the top. This would be so cute to use to give cookies or treats to someone. 99 Cents Only Stores are now on my go-to list for creative supplies, but while there I also noticed all kinds of other items from groceries, produce, cosmetics, snacks and more. Essie Nail polish! Maybelline Bronzer! I was chatting with one of the other shoppers and she told me that the merchandise always changes and that I should come back on a regular basis. 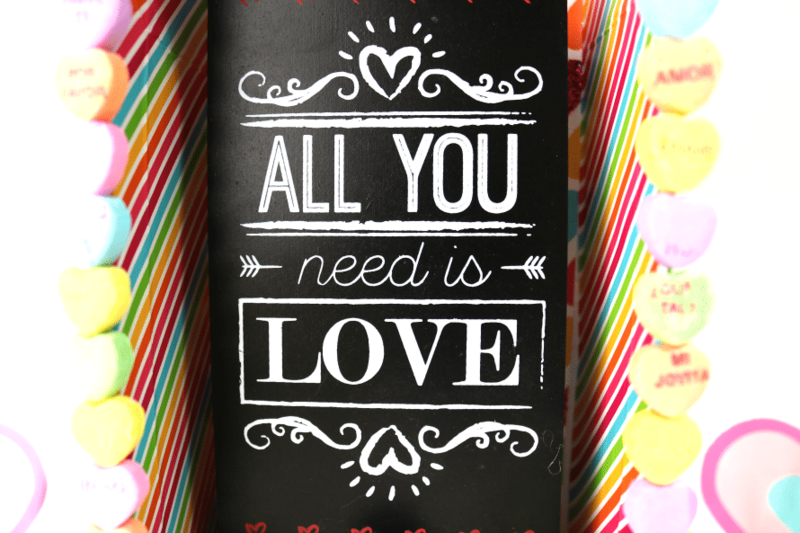 Here is a link for more info where you can find a store locator, as well as other ideas for Valentine’s Day. And here is a happy video for even more inspiration! So much inspiration! 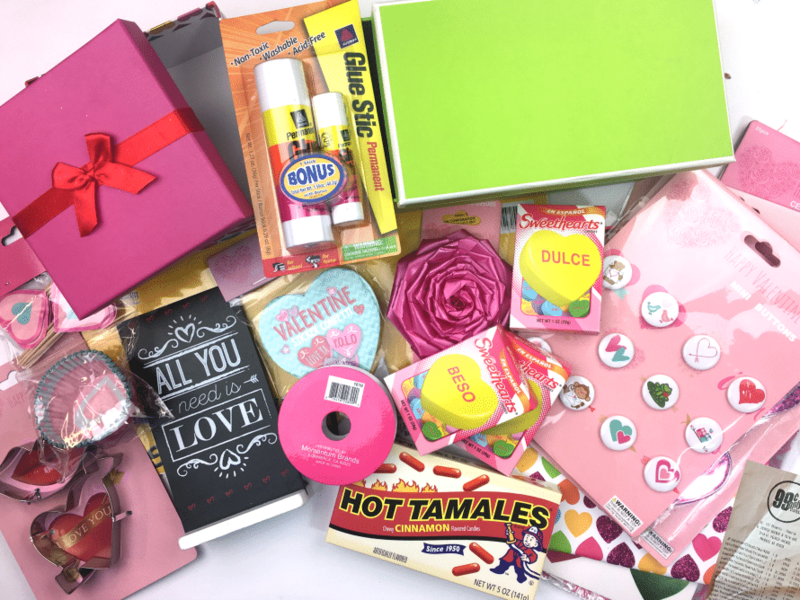 Be sure to follow #99YourValentinesDay to see more projects from other bloggers!